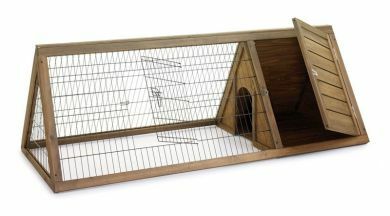 Larger size of our ever popular Hutch 'n' Run run. Made from sustainable wood. Ideal for Guinea Pigs as they don't need the higher sides provided by our Run 'n' Fun range of runs. Sheltered end area so your animals can get out of the sun or rain or away from predators if required. Front opening on both the wire run and the covered area for maximum ease of access.